Shares is Johnston Press slumped by over 17 per cent this morning, after the group reported a fall in sales over the first half of this year. The group, which publishes the i, The Scotsman and the Yorkshire Post, reported a 10 per cent fall in revenue to £93million. Having been hit by platform changes made by Google and Facebook, underlying advertising revenues fell by 15 per cent, while classified advert sales dropped over 28 per cent year-on-year. Shares in Johnston Press are currently down 16.74 per cent or 0.85p to 4.25p. 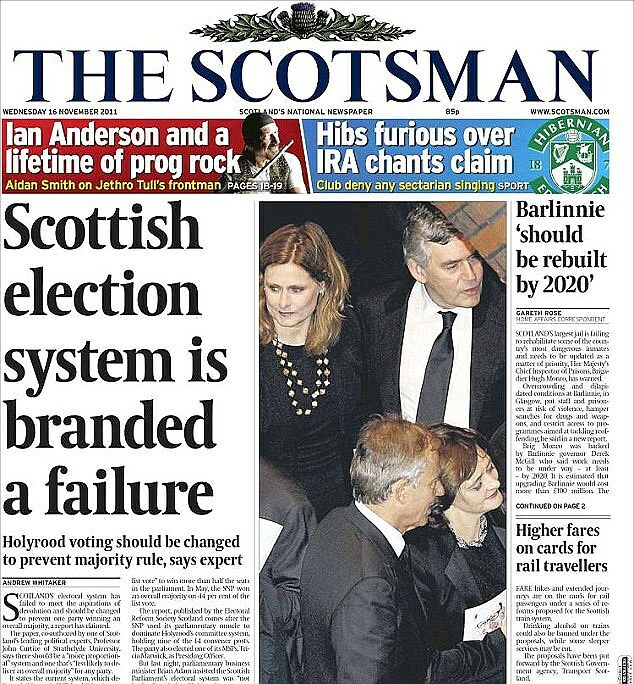 David King, Johnston Press’ chief executive, said: ‘There are two sets of issues’. He added: ‘The first is the group’s historical debts, including its pension obligations, which continue to weigh on our balance sheet. Digital advertising revenues, which have previously helped offset a decline in traditional advert sales, fell by 7.4 per cent. Interim pre-tax profits rose to £6.2million, against a £10.2million loss a year earlier. Operating profits rose 50.1 per cent to £7.4million, while underlying earnings fell 3.7 per cent to £19million. The i newspaper notched up a 61 per cent rise in underlying earnings to £6million in the first half, which helped reduce the wider group’s revenue losses. Mr King said ‘The continued challenges posed by Google and Facebook, seen most recently through algorithm and news feed changes, has contributed to total digital revenue decline, while balance sheet constraints have restricted the group’s ability to invest, and counter these effects. Last week, Johnston Press saw its share price rise amid speculation a mystery buyer was seeking to snap it up. On a single day last week, nearly 3.4million Johnston Press shares changed hands, as opposed to just 1.5million in the entire three preceding days. Johnston Press is looking at ways to refinance £220million of its debts that become repayable in June next year. GoldenTree Asset Management owns the majority of the debts owed by Johnston Press.